An NHS trust that has already launched a multi-million database designed to protect children says the future of the register is unclear. The new government coalition has said it will scrap the ContactPoint system in a bid protect civil liberties. But NHS Derby City said, just prior to the government announcement, that it was proud to be the first PCT in the East Midlands to launch the system. ContactPoint contains records of 11 million UK children. The trust said in its announcement of the database: "It is a fantastic achievement for both the NHS and the Derby City ContactPoint team, who have been working for the past 18 months on meeting the necessary accreditation standards required to enable staff to have access." 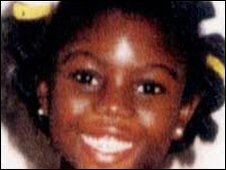 The system, which was set up in the wake of the Victoria Climbie and Baby Peter cases, would provide a database to be used by those working in child protection to help improve services to children with a strong emphasis on early intervention and prevention. In the Baby Peter case, he was seen several times by social services, and was treated in hospital, but each service did not know the other one was dealing with him. The Derby health trust said it was training 30 staff to use the database initially. A trust spokesman said: "The complex planning arrangements affecting ContactPoint has meant that the council and its partners have continued to respect commitments towards the project, which has included training PCT staff as part of a pilot exercise in January. "All direct costs associated with the implementation of ContactPoint in Derby are funded by central government grants . There have been no direct costs incurred by the council or the PCT with respect to the local implementation of the system." Both the Liberal Democrats and the Conservatives have already said in their manifestos that they want to scrap it. The parties agreed to implement a programme of measures to protect civil liberties and reduce state intrusion. The ContactPoint system cost £224m to set up and another £41m a year to run and each local partner was to be given £270,000 a year to hire the staff needed.